RTB has become something of a phenomenon in modern day online advertising yet, many people are still unsure what it really is. Throughout this article, we answer any questions you may have regarding this topic and help to you towards understanding RTB and how it’s used in online advertising. 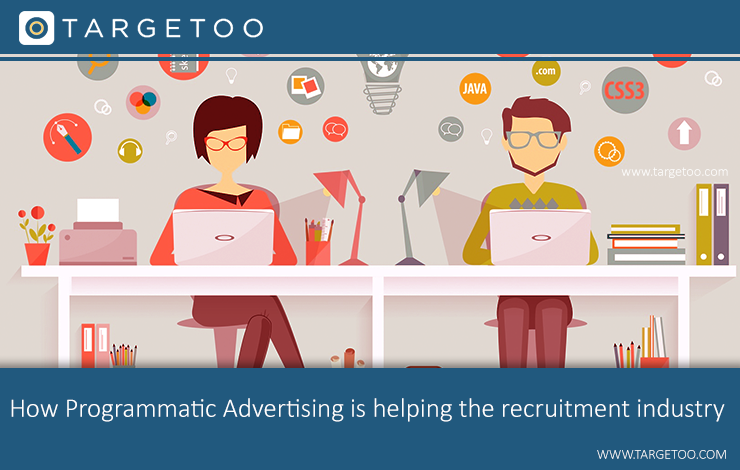 RTB or “Real-Time Bidding”, refers to the buying and selling of online ad impressions. What makes it unique to other methods is that you bid via real-time auctions. These auctions will take place in the time it takes for a webpage or app to load, which - when you think about it - is incredible. You’ll also find that real-time auctions have to be aided by someone. In most cases, supply side platforms or ad exchanges are responsible for the setting up of these auctions while a Demand Side Platform is able to ‘bid’ and win on the impressions. An impression is another way of saying a view of your ad. It is logged each time an advertisement is loaded up on a person’s device. Using impressions, you can work out the number of times your advert has been shown, as well as your CTR and conversion rate. The process of RTB advertising lasts mere milliseconds. Everything that is discussed below happens in those precious moments when a user loads up a webpage with an ad impression on it. At some point during the average internet user’s day, they’ll load a website or open an app that has at least one ad impression on it. While this ad impression is loading up, large amounts of information is being passed to an ad exchange, which then auctions off the impression to the highest bidder. All of this happens behind the scenes and in real-time. The information passed on will include elements like the webpage the impression is on, as well as details of the user that is on the page. The winning bidder (using a Demand Side Platform) will then have their advert loaded up onto the page instantly. From the user’s perspective, nothing has happened. They’ve clicked on a page and been greeted with a highly relevant advertisement. Because of this, advertisers use a RTB platform to bid on ad impressions that will be most effective for them. A good example of this is an advertiser working for a company that sells cooking utensils. If they get information from an ad exchange that a user interested in food is looking at cooking recipes online, this will be deemed a suitable impression and a bid will be placed to get their advert placed in front of them. How can a DSP help? More often than not, advertisers use demand-side platforms (DSPs) to help figure out which ad impressions they should purchase and for how much. DSPs can find ad impressions based on various contributing factors. This includes information such as the site the impression is on, the previous internet history of the user loading the ads, etc. These factors have a bearing on how much someone should bid on the ad impression too. For example, if a user has previously been on your site and made a purchase, then you should be more inclined to pay top dollar to serve an ad to them. As a previous/existing customer, your ad will more likely have an effect on them than someone that’s never been on your site before. Impressions are priced depending on how much people are willing to pay for them. Someone may start by bidding $1, and then others join in until a price is reached where no one else bids higher. Consequently, there is never a set price for a particular ad - it all depends on the real-time bidding process. What’s The Purpose Of RTB? The main purpose of real-time bidding is that it allows advertisers to target ads towards users, rather than looking at specific websites. In the past, if you had a certain market to reach, you’d look for websites where your audience is most likely to be. With RTB, you can use DSPs to directly find your target market, and serve them an ad no matter where they are. Is RTB Good For Advertisers? In short, yes, RTB is very good for advertisers. As well as being able to target their ads to the people that matter, they also see another main benefit. Real-time bidding is simply the most efficient way of buying ads. You don’t need to wait for anyone, or negotiate prices with companies. By using ad exchanges and DSP’s, you can bid on ads in milliseconds and ensure you find the right ones for you. There’s less chance of buying impressions that are wasted on users that aren’t your target market too. Plus, you don’t need human negotiators to find and buy ads either. This allows it to be better on your budget, too. We hope this guide has provided you with a better understanding of RTB advertising. The actual process is complex and lasts under a second, but the concept is simple. If you are interested in learning more, Targetoo provide accessible training and teaching on RTB. For anything else, get in touch with us by using our contact details.